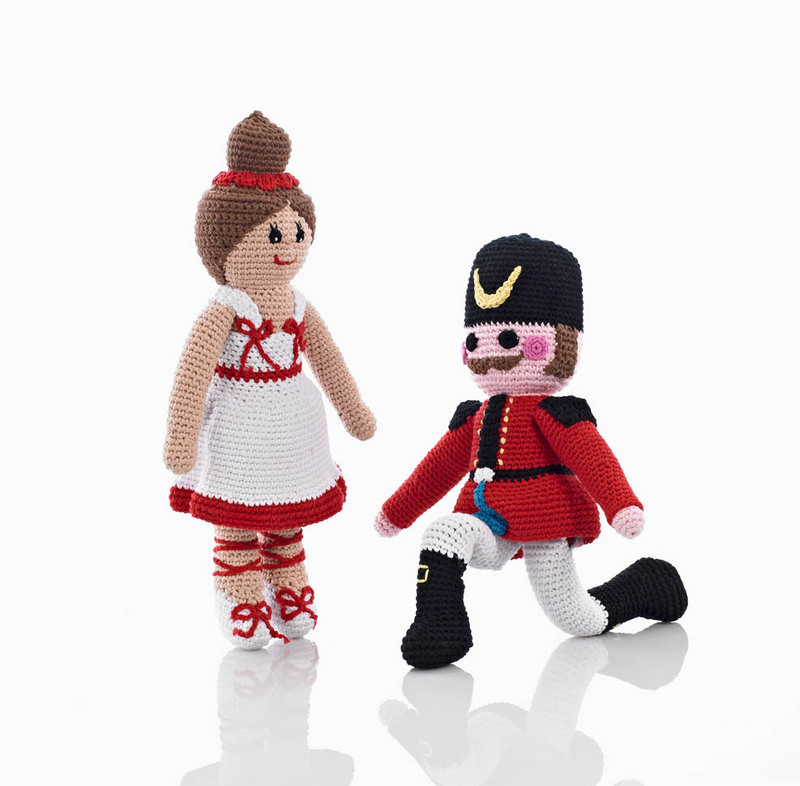 For your little prince/soldier, or for your ballerina we present to you the nutcracker prince. 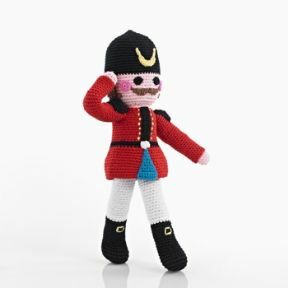 He stands at approx 32cm tall handmade fairtrade cotton crochet. We also stock the ballerina that is part of this collection. 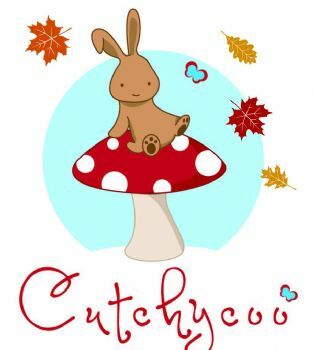 All toys are handmade some products may vary slightly from the photos.